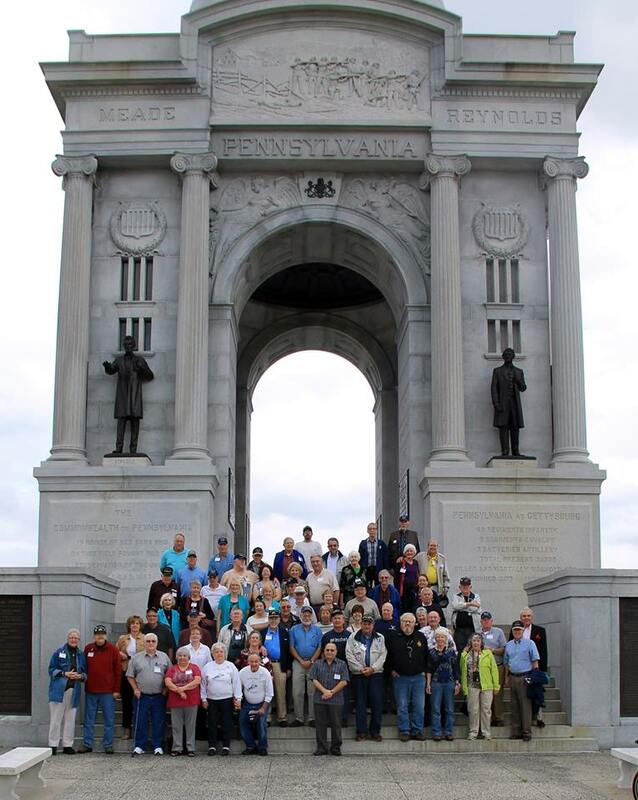 Let Gettysburg Group Reservations take the headache out of planning your next group tour to Gettysburg! We help plan military and family reunions, girlfriends’ getaways, and romantic retreats for you and your spouse. This is the second in our special group itineraries series. Be sure to check out part one – Gettysburg group itineraries for all interests. If you’d like to learn more about any of our group tours for adults and seniors, just click on the tour name below or feel free to give us a call for more info. Need an idea for your family, class, or military reunion and not sure where to start? We’ve got a full day’s worth of excitement packed into our Gettysburg Reunion tour. 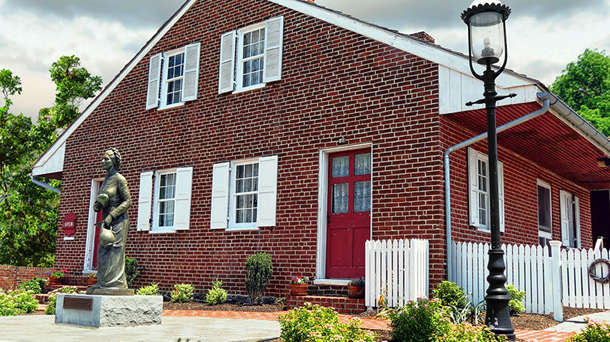 Starting at the Gettysburg National Military Park with a tour of the museum, galleries and cyclorama, you’ll then move to the Eisenhower National Historic site to tour the home of our 34th president, then stop for lunch at the historic Dobbin House. The afternoon includes a licensed guided battlefield bus tour and a stop at the Jennie Wade House (the home of the only civilian killed during the Battle of Gettysburg). Round out your day with a tour and tasting at the Mason Dixon Distillery, a visit to the Seminary Ridge Museum, and dinner at Hickory Bridge Farm. This itinerary is perfect if you only have an afternoon to spend in Gettysburg. Adult Afternoon in Gettysburg starts with a visit to the Gettysburg National Military Park Visitor Center, followed by a licensed guided battlefield tour in a comfortable (and climate-controlled) tour bus. Finish your afternoon with a stop at the Mason Dixon Distillery to tour and sample food, spirits and history all at once. If you want a shorter afternoon tour, another great option is Four Hours in Gettysburg. The itinerary is similar to the adult afternoon in Gettysburg, including the visit to the Gettysburg National Military Park Visitor Center and a licensed guided battlefield bus tour, but concludes without a stop at the distillery. Girls’ night out doesn’t have to be limited to just the evening! The Girlfriends Gettysburg Getaway includes trips to the spa, stops at local Gettysburg shops or the outlet mall, meals at some of our historic locations, visits to wineries for tastings, and a trip to two of the area’s historic homes that emphasizes how women of two different families coped during the battle and how their lives were forever altered by the ravages of war. If you’re a bit more daring and would like to mix some ghostly adventures with your history, the History and Hauntings tour is perfect for you. The day begins with a licensed guided tour of the Gettysburg Battlefield and lunch with a local expert who shares some haunted tales. From there, you’ll visit the home of Jennie Wade, the only civilian killed during the Battle of Gettysburg. Following your stop at the Jennie Wade House, a licensed guide will take you through the National Cemetery and you’ll be able to see where Lincoln spoke of the soldier’s sacrifice. Round out your day with a visit to the Lincoln Train Museum, and as evening comes you’ll stop for dinner and experience one of our famous ghostly adventures. Choose the 90-minute walking ghost tour or the haunted bus tour, or perform your own paranormal investigation! Holiday season in Gettysburg is the perfect time to visit if you want to experience lighter crowds and enjoy beautifully decorated scenery. Tour historic homes that have been decorated for the holidays, including the Jennie Wade House, Eisenhower Farm, the Shriver House and David Wills House. 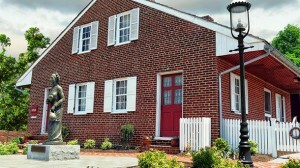 You’ll also be able to enjoy historic restaurants, seasonal theatre, and the unique shops in the downtown Gettysburg area. The best part about these sample itineraries is that they are fully customizable! We’ll be happy to help you plan by discussing options for your group tour of Gettysburg. To get started, give Gettysburg Group Reservations a call at 717-334-6020 or 1-800-447-8788. Posted in Blog, Ghostly Images, Things To Do and See and tagged adult tours in gettysburg, Gettysburg Group Reservations, gettysburg reunions, Gettysburg Tours, Ghostly Images, group itineraries, group tours, seniors tours in gettysburg on July 19, 2017 by Gettysburg Battlefield Tours.